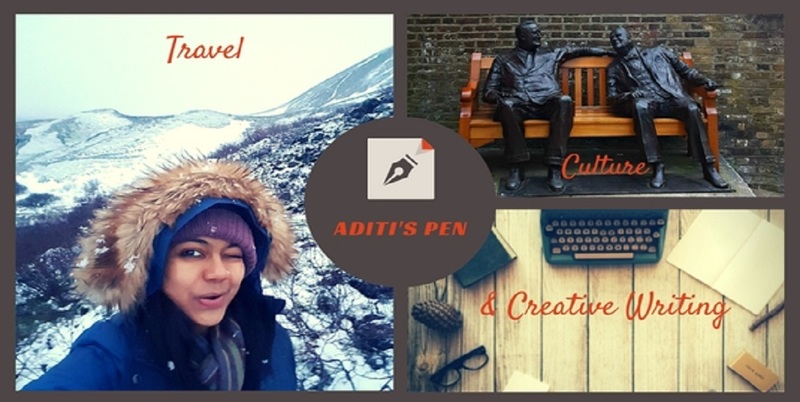 Aditi's Pen: Act before it's too late!! That made so much sense Aditi. Most of us know the right thing to do yet don't bother. We really are taking Mother Nature for granted (like we take all mothers!) and that's going to cost our later generations. Absolutely True Tulika! I think it's high time we all adopted a greener way of life. Simple things we can do on daily basis no? Any suggestions? Exactly it's not really difficult we are just indifferent! That's a nice poem with great message. Yeah, I really feel bad about people who shout about being civic and taking care and hardly do anything even to teach their own kids any civic sense. A great message. Like cleaning their own homes n dumping the garbage on streets! Sad! Agree Shilps...small efforts can lead to a big change. If only all of us did our bit! The difference a single person can make is tremendous. Once near my locality a tree was about to be cut down for constructing a road. Not a single person cared about it. A man who lived nearby sent a letter to the municipal chairman and to the district collector, and that was all it took to divert the road by 3m. It made me realize one important thing, sometimes we think things are impossible and live in self created shells, whereas a simple act could change our surroundings. And by the way, good write. yea.. you are so right!! We take so many things for granted and the repercussions are enormous! I so love the message at the end of this poem - to make Mother Earth greener. Awesome! If each human did that, in a small way, BIG change would be effected. An important lesson in the poem, loved it. If every person does a little bit to save nature, we can do it but nobody wants to get out of the comfort zone. This is a good cautionary tale really. We all need to take heart and work to save what we have and make the world a greener place. I guess you are right in your warning! It is high time we realized that unless we take serious action the planet will just be beyond repair. A beautiful message conveyed through the poem.Every one proclaims that by a joint effort the Mother Earth can be saved but no one, including myself, do make any concrete effort.We only blame the authorities. Time to act that to talk.such a provoking post! Sorry for the ommission. This should be read 'no one, including myself,t make any concrete effort'. Really enjoyed this work of yours, and especially the start! Strong, yet meaningful words! be paid heed to...a wonderful poem with deep message..
Beautiful poem with a message. W e know that we are harming Nature in our own little ways but hesitate to take a step to undo it.I always re-cycle polythene bags that I get (I never buy) and a friend of mine called me 'kanjoos'. strong message. but the lure of profits and the thirst for resources are too strong. your poem is a timely reminder. An amazing poem Aditi with such a powerful message. The manner in which we are treating the world, well, we are already regretting it. Sadly, climate change policies are still being pooh-poohed in so many countries and there are still so many sceptics out there refusing to believe we are harming our home. powerful words and good advice. we need to walk the talk before it's too late and however we can to make a difference. it all counts, even the small steps. we sold our two cars when we moved to BC and although it's difficult at times not to have a car, I'm still proud of our efforts in this regard. Lovely poem. Thank you for sharing! Thanks a lot Loni :) glad u liked it! That was a great poem with a timely message! That's a really great post with a wonderful usage of prompt. My first visit to your blog and I am so glad to have visited it. Welcome to my humble space Stri :) Thank u for your kind words!